DUBLIN, CA–The Dublin Unified Board of Trustees approved the appointments of new leaders at the district’s two high school campuses at their regular meeting Tuesday night. Maureen Byrne was appointed principal at Dublin High School, while Megan Pettis was appointed as principal at Valley High School. Both appointments are effective for the start of the 2016-17 school year. Byrne has served as Assistant Principal at Dublin High School since 2004. Most recently, she oversaw the implementation of the College and Career Readiness program, including the addition of the “Gael Period”, the Freshman Seminar curriculum, the Freshman Mentoring Program and the “The Hub”, which offers intervention and tutoring programs. In addition, she has served as the administrator for Special Education, Mathematics, World Language and Counseling the Bio-Medical academy, as well as the site’s testing coordinator. Byrne has a 24-year career in education, beginning as a Resource Specialist, working at the high school and middle school levels in Newark and Ventura school districts. Byrne, who earned her Masters’ in Education from U.C. Santa Barbara, succeeds Carol Shimizu, who has served as the principal of Dublin High School since 2004 and departs as the longest-tenured principal in school history. Shimizu announced her retirement in January, ending a 48-year career in education. Pettis comes to Dublin following five years as Coordinator of Secondary Instruction in the Novato Unified School District. She served as the Assistant Principal at San Marin High School from 2006-2012. Her teaching career includes stops at Tomales High School, Paradise High School and Fortuna High School. Pettis, who received her Masters’ in Educational Leadership at Sonoma State University, succeeds interim principal Barbara Heisser at Valley High School. 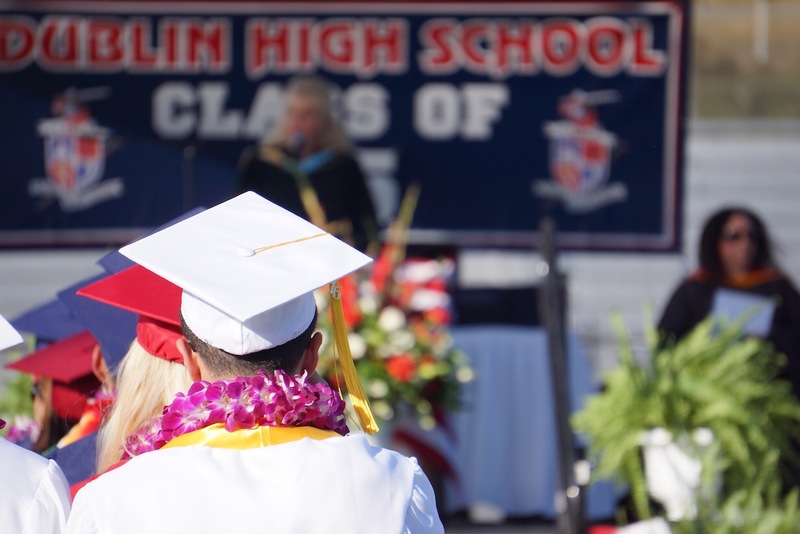 Dublin High School has become one of the top high schools in the state, with escalating API scores, an increasing number of Honors and Advanced Placement courses (currently 24), and a significant uptick in the number of students taking AP, SAT and ACT tests with increasing scores on those exams. DHS has initiated Academies and Pathways in Engineering, Bio-Medical, Culinary Arts, Visual and Performing Arts and Digital Media and has successfully implemented the College and Career Readiness program. The state-of-the-art campus has been extensively modernized, remodeled and rebuilt to support 21st-Century learning and technology, while classroom space has been significantly increased to accommodate continued enrollment growth. Valley High School is among the top alternative high schools in the state. Valley is WASC-accredited and was named a Model Continuation High School by the State of California in 2014. Valley’s campus has also undergone an extensive modernization and remodel thanks to funds from the Measure C general obligation bond. The work included significant replacement of classrooms as well as administrative buildings, media center and exterior spaces.